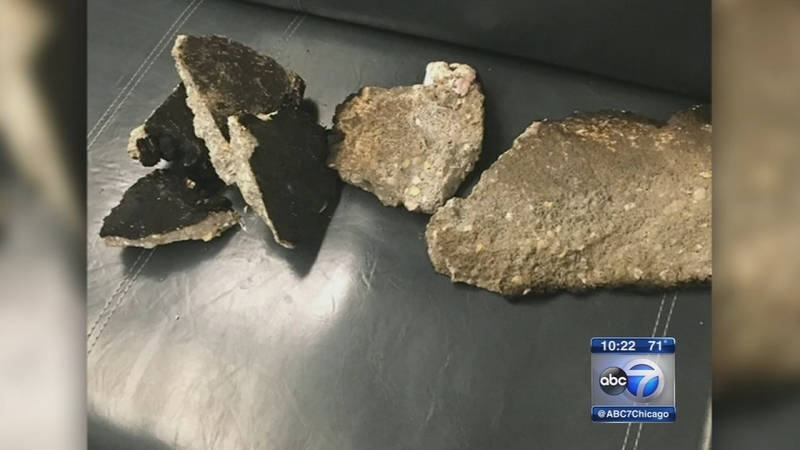 CHICAGO (WLS) -- Two train platforms at Union Station are closed Wednesday morning due to falling concrete that injured a woman Tuesday. Tracks 9, 11, and 13 were shut down Tuesday after Metra commuter Hilda Piell stepped off a train and felt something heavy crash down on her head. "I then put my hand to my head and realized there was blood all over my hand my head my face and that i had been struck," Piell said. Amtrak owns Union Station. In a statement, the company said the concrete came from a "non-railroad structure." Tracks 13 re-opened overnight. Tracks 9 and 11 will remain closed for at least the morning rush period, affecting Milwaukee District North, Milwaukee District West and possibly North Central Service trains. Incoming trains will use different platforms Wednesday morning. Commuters should listen for announcements that will be made over the sound system and displayed on information boards at Union Station.